CanPL.ca managing editor Kurt Larson appeared on SiriusXM radio show Canada FC with host Aron Papernick, talking all things Canadian Premier League as the #GotGame Open Trials after stops in Halifax, Montreal and Hamilton saw a few talented players unearthed and identified by the league’s assembled coaches. Larson and Papernick discuss the processes behind the trials, including the day-to-day agendas at each of the stops, while also chatting about some of the standout players who made an impression in the first three of seven stops. 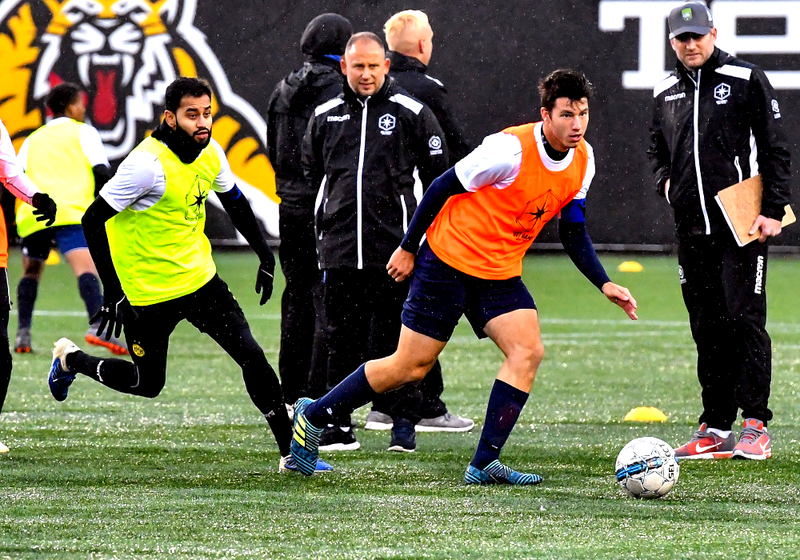 “If you talk to a few of our coaches, they were probably thinking that we weren’t going to find too much by way of talent, but each step along the way, (starting with) Halifax, set a standard that was pretty good,” Larson told Papernick on Canada FC. ‘You have to humble yourself’: Anagho-Ntamark reflects on extensive experience ‘This is my hometown — Steel City’: Canadian striker impresses in Hamilton ‘I love this game’: Lukumbi ‘Spider-Man’ Tshindaye turns heads in Que.